Moore babies: 35 weeks down, 5 (or less) to go! 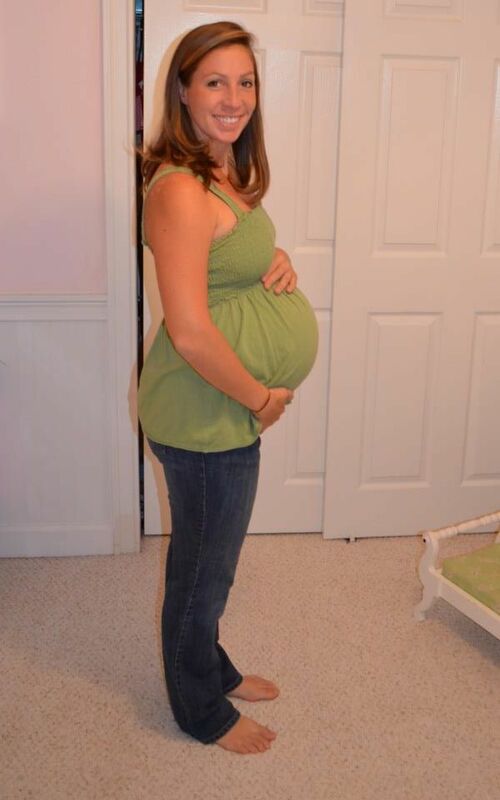 I am 35, nearly 36 weeks into pregnancy #3! Not gonna lie, it's been flying by. Doc - how are you doing? Doc - so #3, you are in great shape. [feeling ankles] No swelling, [measuring belly] yup looks good... and no stretch marks..
Doc - Your stomach has already stretched this far twice without stretch marks, I think you are good.... so any questions? Doc - See you next week. 15 minutes in and out! On another note, I started packing my hospital bag last night... but didn't get very far. So far I have my nursing tanks and some fleecy socks that I used last delivery hospital stay. I did manage to wrap and set aside baby's gifts for the girls, so we are good there! Not much but it's a start; at least I have my list now. I was 10 days early with Charlotte and 4 days early with Jillie.... lets see how this one goes! Good luck with your delivery!